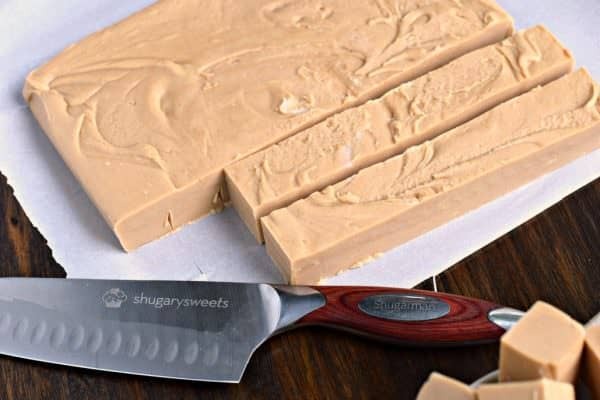 One bite of this smooth, creamy Maple Peanut Butter Fudge and you’ll be taken back to your favorite vacation spot! Easy to make with no candy thermometer needed! It’s the middle of summer and the last thing you are probably thinking about is making fudge. Am I right? It’s okay, I get you. You are probably one of those people who only make it around the holidays? You only eat pumpkin desserts in the fall, and carrot cake is only made at Easter. If that’s you, then please PIN this recipe for Christmas. Ha! If you LOVE eating outside the box then stay put. Because this Maple Peanut Butter Fudge is fantastic and is meant to be eaten all year long. No seriously. 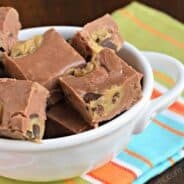 5 minutes over the stovetop, no oven required, what’s not to love about this easy, delicious fudge recipe? No candy thermometer? No problem…this fudge recipe doesn’t require it. Every beach vacation we go on, there is always a little mom and pop fudge store. You know the one I’m talking about. They have dozens of flavors, and you pick the size box you want, they cut you a hunk of fudge, and off you go. Only to accidentally leave that fudge in your blazing hot car while you are on the beach. Whoops. Even though I know how to make fudge at home, I still have to buy fudge on every vacation. I love the combo of maple and peanut butter. There is something so scrumptious and rich about sinking your teeth into a soft fudge. On a recent vacation I saw this flavor combo and while I didn’t try it that time, I tucked it away in my brain (Okay fine, I wrote it down), knowing I would want to try it at home. You guys. If you LOVE peanut butter you MUST try this. 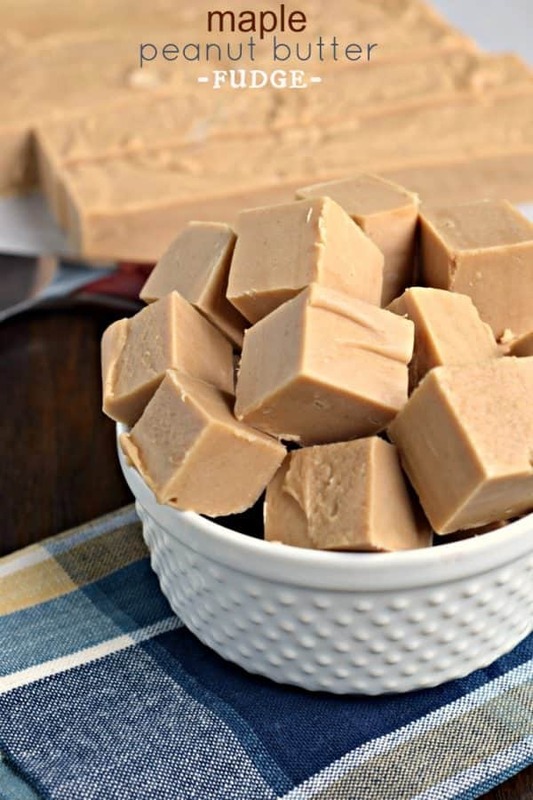 I know I’ve made several peanut butter fudge recipes in the past…but this one is different. The maple adds so much flavor you’d be surprised. And before you even ask….no, you may NOT substitute maple syrup for the maple flavoring in this recipe. The maple flavoring can be found on Amazon or in your grocery store near the vanilla extract. It’s worth picking up a bottle…because you’ll want it to make these Maple Iced Oatmeal cookies and this Maple Walnut Fudge. Check out some of my other favorite truffle and candy recipes! 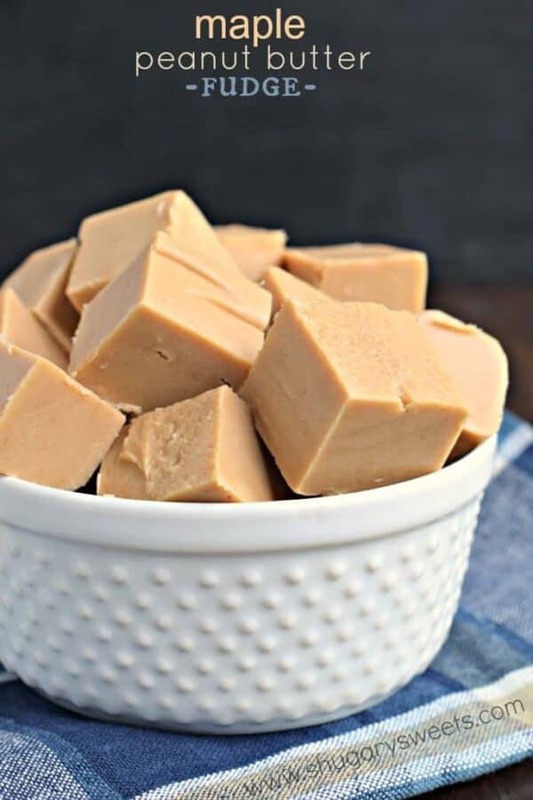 Be sure to stop over at Food Fanatic to print this Maple Peanut Butter Fudge recipe! I love going in those little fudge shops for recipe inspiration. Ok, fine and for a piece of fudge…but I’ve never let it melt in the car. It disappears too quickly for that! I love the maple and peanut butter combo- these would be so delicious with maple infused peanut butter for extra maple flavor! The recipe sounds delicious. Perfect for holiday gifts. How many ounces in the jar of marshmallow cream? thanks. Mmmm, that sounds so yummy. I love fudge! Thanks for sharing. 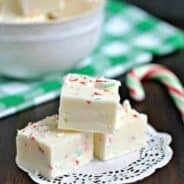 This is seriously my kind of fudge recipe! Sounds lovely but what is marshmallow cream? I live in N.Z. I will wrap it up in a pretty tin and say just for you, you don’t have to share!! I hope that you know that a broken cookie, slice of cake, have no calories because once there is an opening, all of the calories just fall out. That is my story and I am sticking to it. Peace to fellow candy makers. 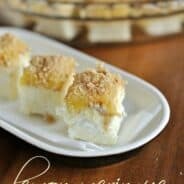 I LIKE trying different recipes and enjoy seeing some of your to try. Thank yyou , I love trying ne foods n spices . Sounds delicious! Does this need to be refrigerated? Nope! Keep in a large ziploc or airtight container at room temperature. Do you have a peanut butter candy recipe? Could you do this one but leave out the maple and use vanilla instead?